How much the ave. pocket money in hong kong for 3 days MTR? Generally speaking, it costs HKD20-40 per day. It also depends on your frequency and destinations. Where to stay best? Mongkok or TST? Thanks. Any advice for a first timer in hongkong? Hi, Deb, actually, both Mongkok and TST are suitable. The surrounding transportation is quite convenient. And you can also easily find the nice restaurants and local foods there. how to go Hong Kong chai wan from taipo by bus? Do you have the exact starting place in Tai Po District? Take Tai Po Government Offices as an example, take East Rail Line from Tai Wo Station to Kowloon Tong. Then transfer to Kwun Tong Line to Yau Tong Station. Walk to Quarry Bay Station, take Island Line to Chai Wan Station, EXIT B. The whole way takes around 70 mins with the ticket fare of HKD21.6. 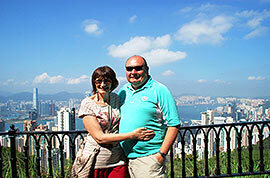 How to go to Hong Kong ocean park by taking bus from yuen long? First, take the MTR at Yuen Long and get off at East Tsim Sha Tsui where to take the Tsuen Wan Line and get off at Tsim Sha Tsui. Then transfer to the South Island Line and get off at Admiralty. Then land at Ocean Park. What is the fastest way from Wu Kai Shai to Yuen Long? The fastest way is to take the MTR at Wu Kai Shai that can directly bring you to the destination. The duration is about 65 minutes.